One of the best properties in the appellation of Vacqueyras, certainly the best-named, Le Sang des Cailloux is located on the limestone escarpment which divides the villages of Vacqueyras and Sarrians. 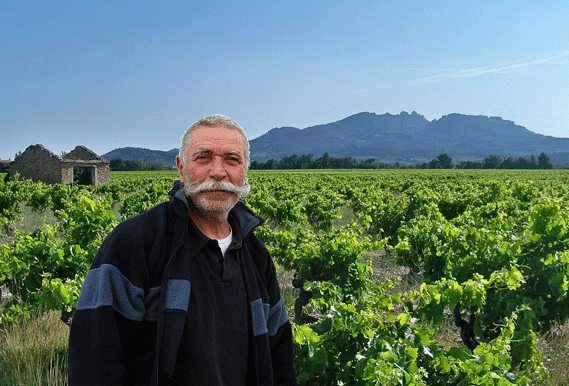 Serge Férigoule is famous for two things, his handle-bar moustache & his wine making. While discussion of his mo is a somewhat trivial matter (however it is definitely something to behold), his wine making is a decidedly thoughtful & serious issue. 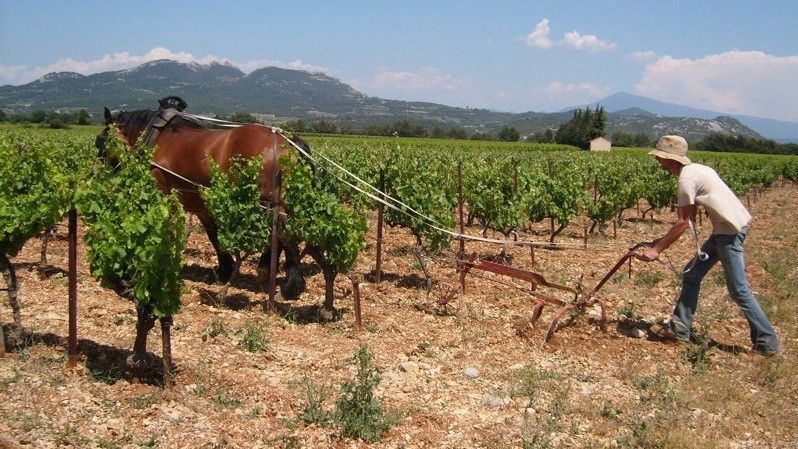 All of Serge’s seventeen hectares rest on the great Plateau des Garrigues, where red clay, limestone,and the famous galets stones,impart a terrific intensity and depth to the wines. Given the aridity of the soil, the vines here are naturally prone to lower yields—this gives the wines their concentration. He is not looking to impress; only to make the best wines he possibly can. Serge is also sentimental—each year, the Cuvée Traditionnelle of Le Sang des Cailloux is named for one of his daughters, Floureto, Doucinello and Azalaïs. The “Vieilles Vignes” is also called “Lopy,” named for his hometown. His wines have everything we love about the Rhône – wild and chewy with great notes of leather, spicy and smoky, black fruit.